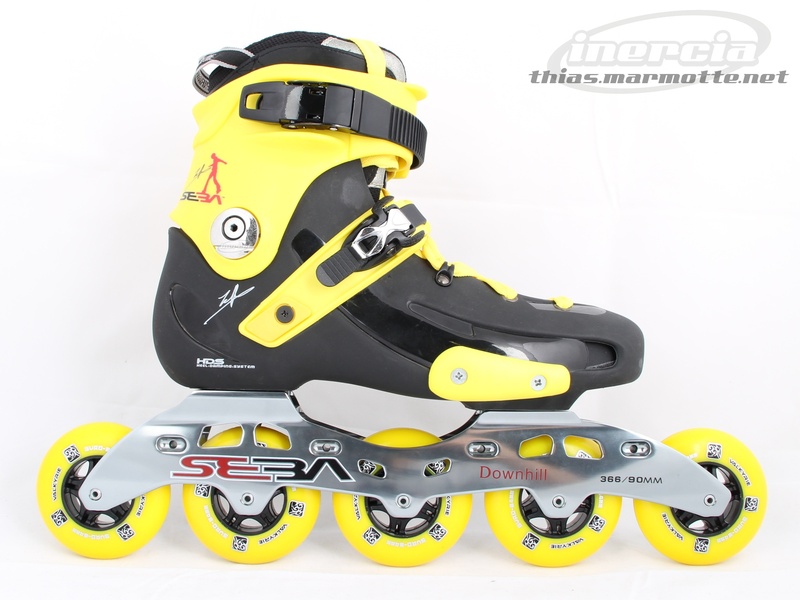 Since August 2010, new colour custom kits are available for the Seba FR skates, in addition to the existing red and black ones : Green, purple and… yellow! I find the result amazing, and everyone I’ve asked seems to agree. 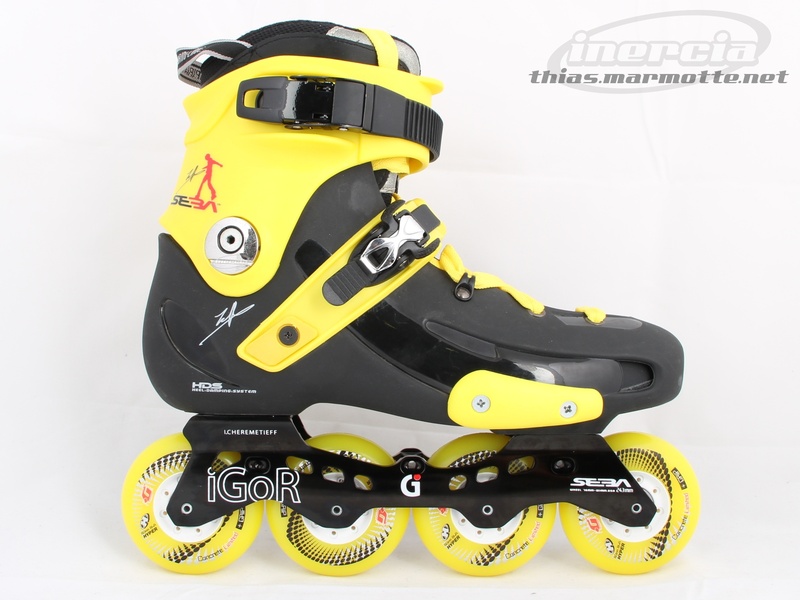 The Hyper and Gyro yellow wheels both match perfectly the colour of the skate parts. The new custom kits come with lots of mounting bolts : The slider metal bar and screws as well as all of the heel strap screws are there. Only the spoilers come naked, without the buckles, buckle bolts nor spoiler bolts. The Downhill custom has the frame mounted using the original middle holes of the boot. It’s trivial to mount it further back, if wanted, by using some of the other mounting holes. Matter yellow wheels are much brighter and look green compared to the rest of the skate, and the idea here was to focus on the aesthetics, which is why I haven’t used them. The Downhill version is on display at Inercia Barcelona during the month of September 2010. This entry was posted in Skates. Bookmark the permalink.